Newport Towers present you with not only beautiful views and large balconies, but bright and spacious suites with ensuite storage! Living in these industry-certified rental apartments means you get great service and management, tested and recommended by the rental housing industry of Ontario. Our residents enjoy living close to the walking trails, easy access to the Expressway, Hwy 401 and malls. 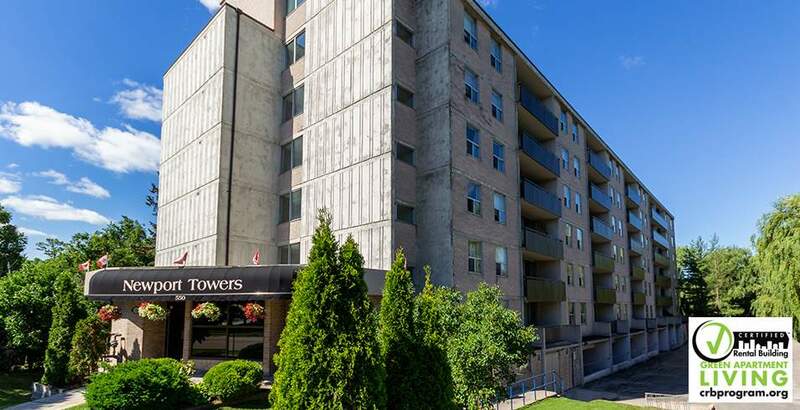 We are also situated within walking distance to shopping and day-to-day amenities, as well as transit stops. Please note: Square footage and pricing varies per unit. Try our online room planner tool!